In a post-Taliban Afghanistan a young woman (Agheleh Rezaie) attends school against her conservative father's will, hoping to learn more about democracy to fulfill her dream of being the country's next president. A wealthy boy hires a poor child to carry him around like a horse. 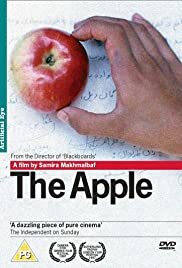 "The apple" is very much from the school of Kiarostami, Makhmalbaf & Co. Some call it Iranian Cinema, and I have my background info from a Documentary on "Iranian Cinema", too. Directed by Samira Makhbalbaf, the daughter of the Makhbalhaf I was referring to before. Wait, let's start again: Samira, undoubtedly influenced by her father Mohsen, made a movie about a story which was in the papers. Her style is moralist, she has a mission: Show the 'real story' behind the news. Tell us about the perspective of the real people behind the story. The artistic means is to take the 'real people' and let them (rein)act the things, and film it. All this is done in a nice style, which shows that it was done _for_ and not against those people. In the end she has a message: the apple of eden (=see the world, don't stay at home, enjoy enlightenment, take part in buying and selling, have contact with other people...) is a scary thing, but it is not that scary as people would think. This fear makes them do such things like locking in their children for 11 years. 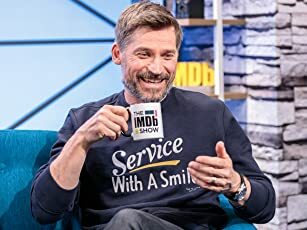 That is the message, and it is told in a charming way. Still, personally I could not quite identify, because this is not my problem. There Abbas' messages (also told through the vehicle of 'real' people) are much closer to my life.